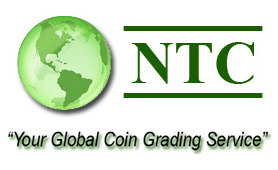 Currency Grading and Authentication (CGA), the country's first paper money grading service, was formed in 1998 in response to a high demand from collectors and dealers for an impartial third party grading service. We are dedicated to serving the needs of the paper money collectibles industry. Along with being the first Currency Grading service, CGA offers the fastest and most accurate currency grading available today, **Guaranteed**. You don't have to be a Special dealer or Club member to submit your notes to CGA. We don't follow the philosophy of charging you for the right to submit notes to us. We also offer special bulk pricing to dealers and collectors alike. You will get your submission back in a timely fashion and by the time frame listed at your submission level. If in the event your order is delayed for more than 7 business days, CGA will refund your return S/H paid with the submission. To provide our customers with accurately graded notes, to deliver those notes in the timeframes promised by us and paid for by our customers. To try to educate the new collector to avoid the pitfalls of buying uncertified currency. We are a family owned business and have been since 1998. We have no alliances with the auction houses that could in any way be considered a conflict of interest. We are truly independently owned and operated. Thank you for your business.